Our Panel system with colorful LED lights is designed to be mounted on any indoor wall. With tailored skins it can be displayed as art or concealed behind furniture and appliances. Orison's Mobile app gives you control over your usage and access to energy, keeping you comfortable in any situation. 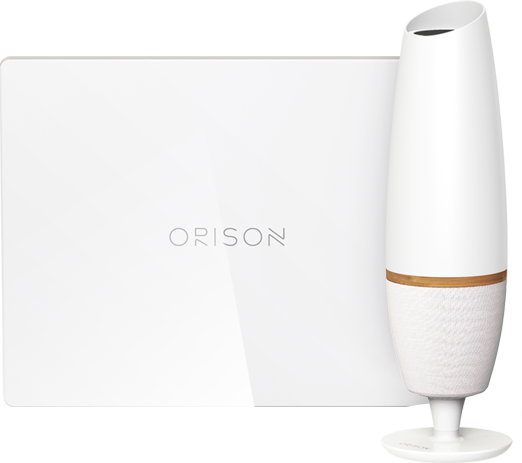 Orison can be mailed directly to you, simply plug it into the wall outlet like you would any other appliance in your home. During a power outage, Orison's stored energy immediately provides you with backup power to protect your home. 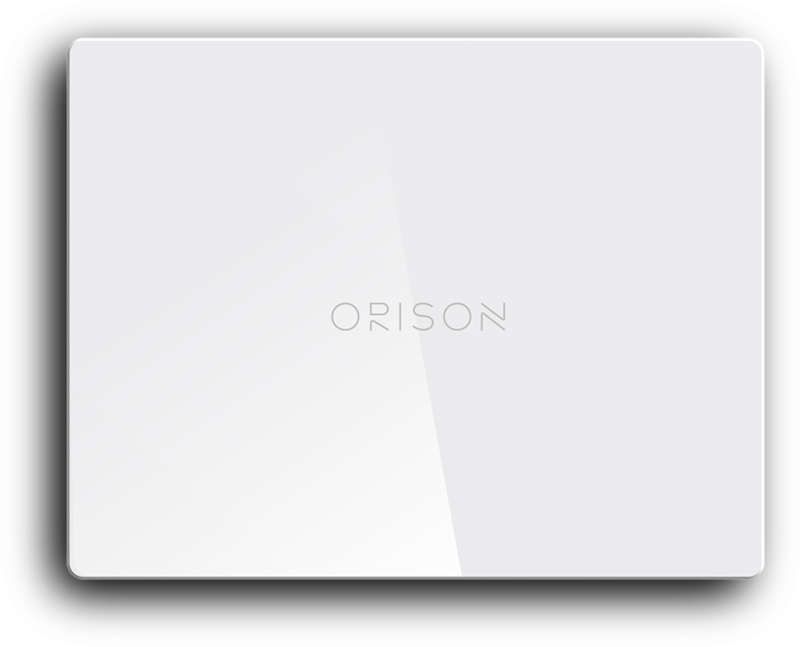 Orison automatically stores energy when utility rates are low and then powers your home or business when rates are high. Customizable and versatile design and lighting that can be displayed as home decor in addition to providing energy storage. Orison energy storage invites you to become part of the solution and enable renewables to be adopted safely onto the electric grid. Simply plug it in. 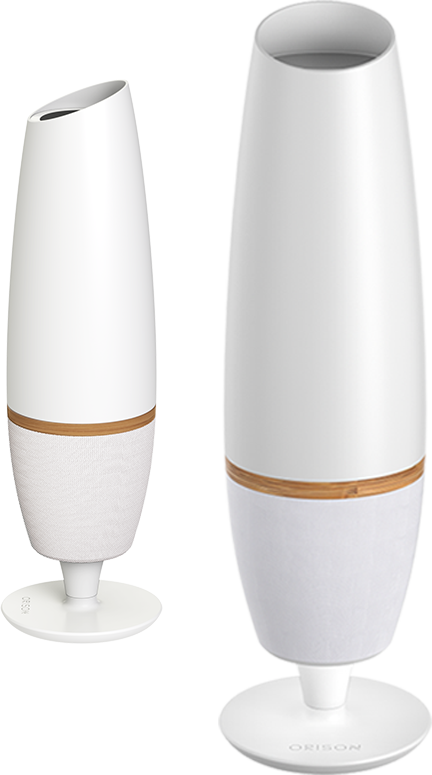 Orison optimally charges and discharges energy to reduce your electric bill. It also gives you backup power when the grid is down, and contributes to a self-healing, efficient energy grid. Orison’s integrated Cloud network uses data including utility rates, peak demand charges, weather, blackout alerts, your usage profile, and more to determine the optimal operating schedule for your device. The Orison Cloud also works collectively to make the energy grid more efficient. No permits, wiring or construction. 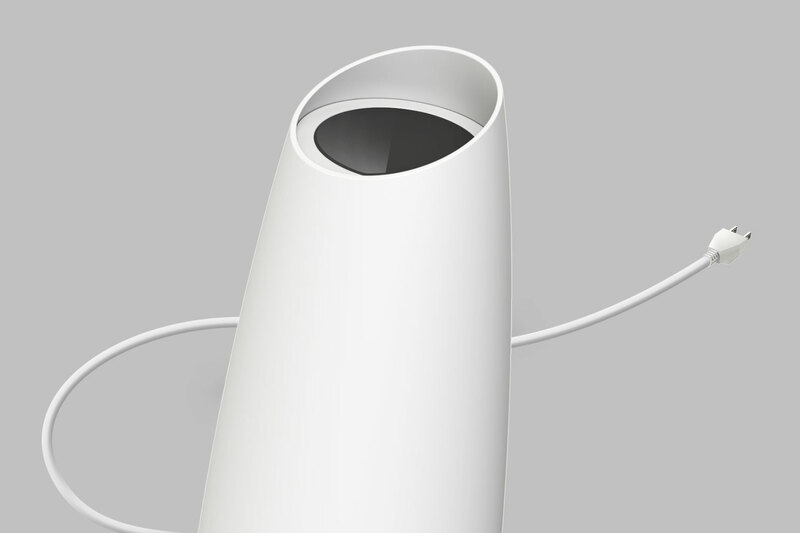 Orison is designed to be effortless to install and operate. 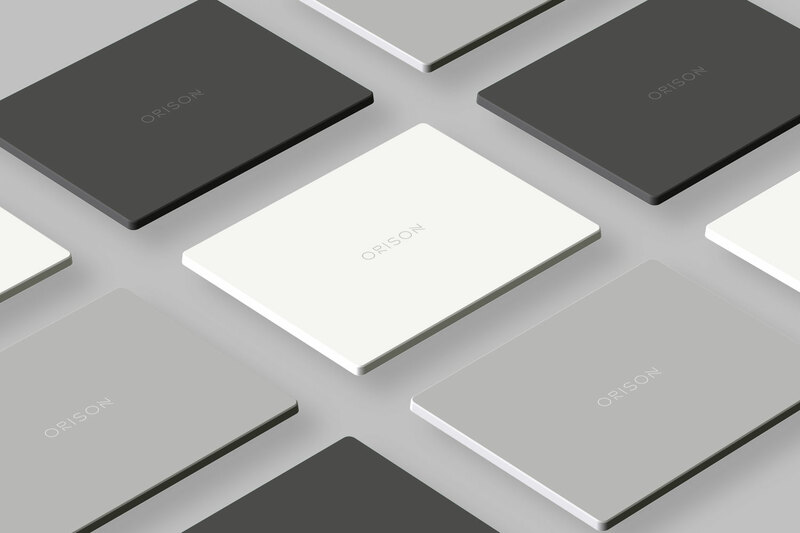 Weighing less than 40 lbs., Orison can be mailed directly to your door. Simply plug it in like you would any other appliance, set-up with your Orison App, and you’re done.